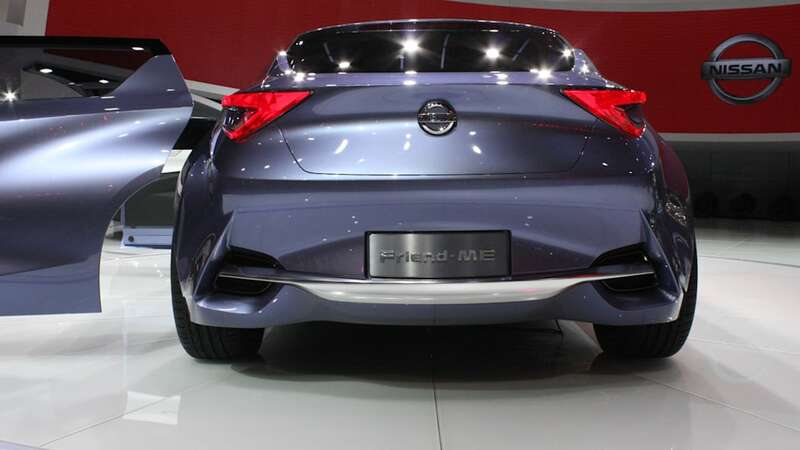 Here is the Nissan Friend-Me, a swoopy – and let us emphasize that word "swoopy" – sedan-with-a-hatchback developed specifically for Chinese youth in their mid-twenties, the ones born in the '80s mainly bereft of siblings due to China's one-child policy. The exterior is meant to be most imposing at night, when Nissan figures these single children will be getting together with their friends. The sheetmetal looks like it was shaped by waves, and the details like lighting and vent openings could have been penned on Krypton. The real show is inside, where peers are made equal and can interact with one another via the "oracle stone." 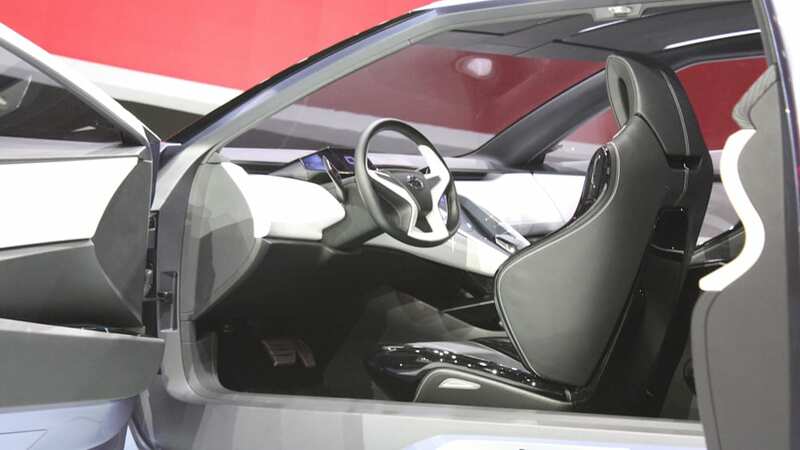 The concept is that instead of a driver and three passengers, everyone gets access to the same information and the ability to alter the ambiance of the car – dash readouts are provided for all of the occupants, and anyone can move content from their phones to the in-car screens to be shared throughout. As Nissan says, it's the end of anyone being a "music dictator." 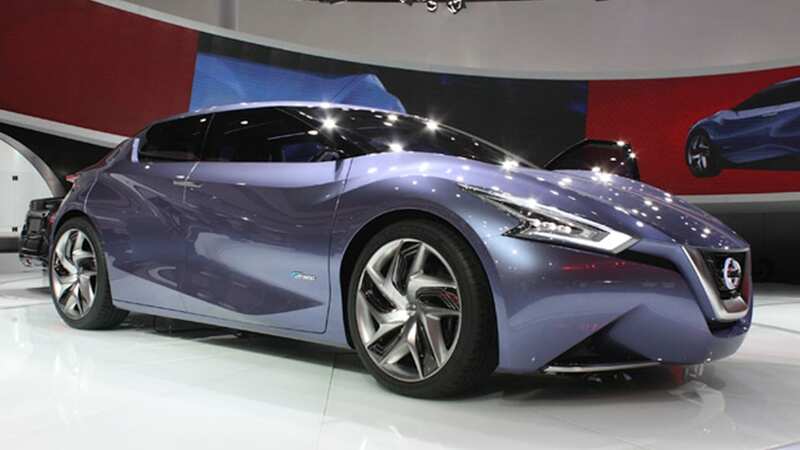 Designed by Nissan Design China for a specific market-within-a-market estimated to contain 240 million potential buyers, Nissan says the wishes of these customers and the ideas in this car could shape automotive offerings for decades to come. So read all about it in the press release below and take some long virtual looks in the galleries of high-res photos. SHANGHAI, China, April 20, 2013 -– Nissan today revealed its Friend-Me concept, a four-passenger sedan designed for a generation with a very different automotive outlook. With an assertive, imposing exterior featuring boldly flowing sculpted lines, Friend-Me is a confident creature of the night, meant to be seen in bright city lights. Inside is a carefully considered space designed to give four friends a sense of shared adventure without hierarchy. 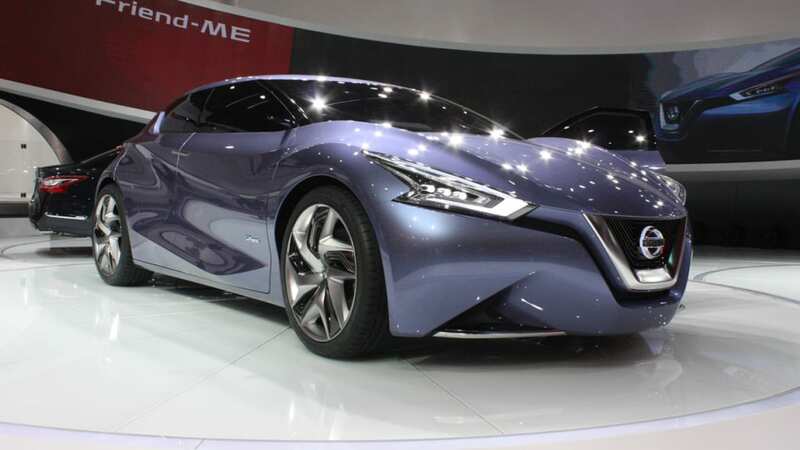 The concept is applicable globally, but the genesis of Friend-Me was Nissan's exploring the aspirations of customers destined to emerge as the world's largest single market segment: the "Bālínghòu," around 240 million Chinese born in the 1980s are known. Specifically, Friend-Me addresses the social dynamics of Chinese men in their mid-20s. 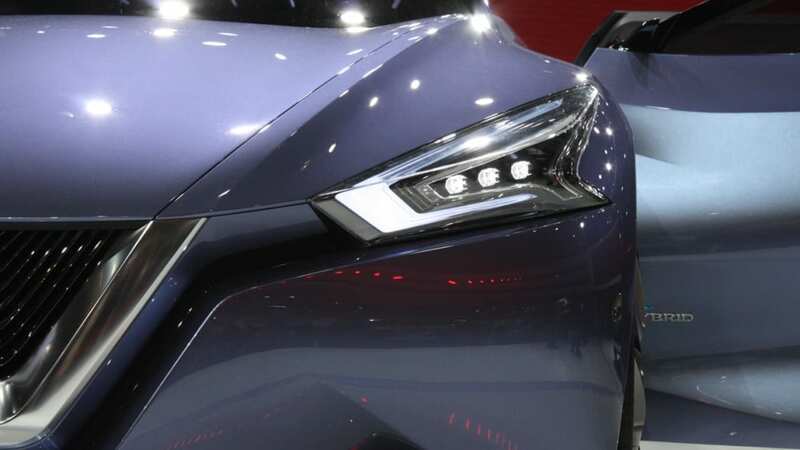 "Bālínghòu males are a huge cohort in the world's largest market, and they're now reaching their prime," said François Bancon, Division General Manager of product strategy and advanced planning at Nissan. 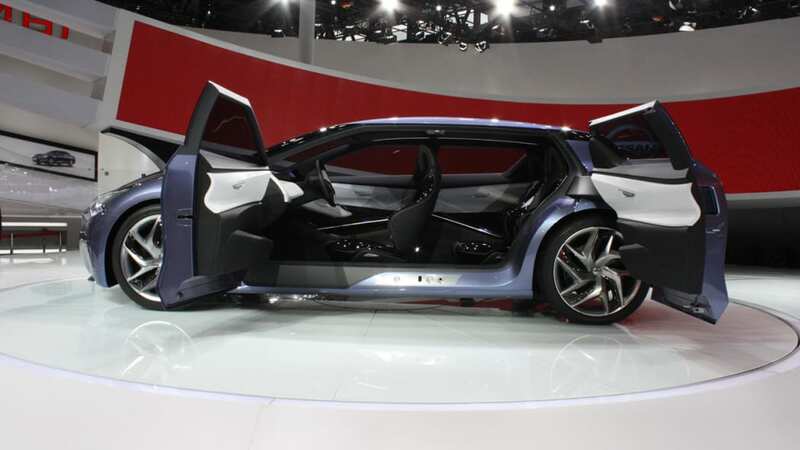 "Clearly, their tastes will shape automotive trends worldwide for decades to come. So we believe it's important to listen with respect, and respond by putting dreams within their reach. That's why Friend-Me is our first proposition in an ongoing dialogue." For a generation that grew up without siblings, leisure time shared with peers is treasured. That time – usually at night – tastes sweetest when four buddies are in their own private space. Yet they can share adventures by connecting virtually in a car where all feel equal. Heads are bound to turn as the Friend-Me crew cruise the night-time streets, because this car asserts an imposing presence. Solidity and flowing lines give it an edgy muscularity that's 'bad'... but not evil. It's definitely not your old man's sedan, yet it's mannered enough not to embarrass the family. With its exterior design, Friend-Me addresses a fine balance that middle-class Bālínghòu youth must heed. 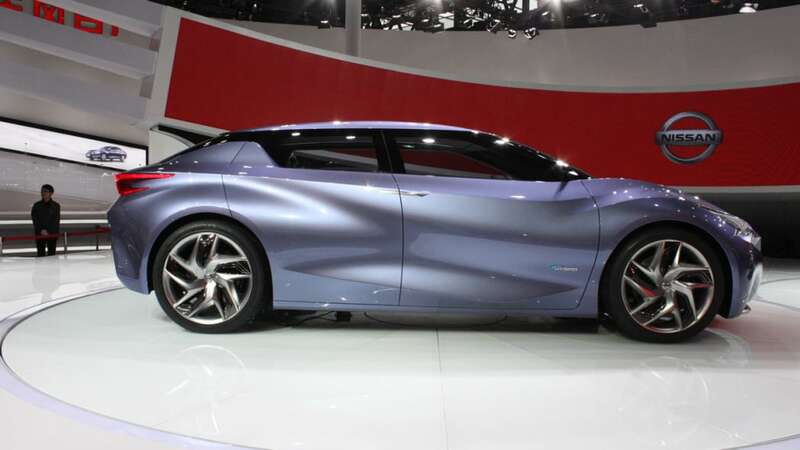 "We call our solution 'Distilled Da Qi,'" said Taiji Toyota, Vice President of Nissan Design China. "'Da Qi is about casting an aura, about standing out, but at the same time going with the flow, fitting in. It's a question of balance, and we've worked to refine it right down to the essence. 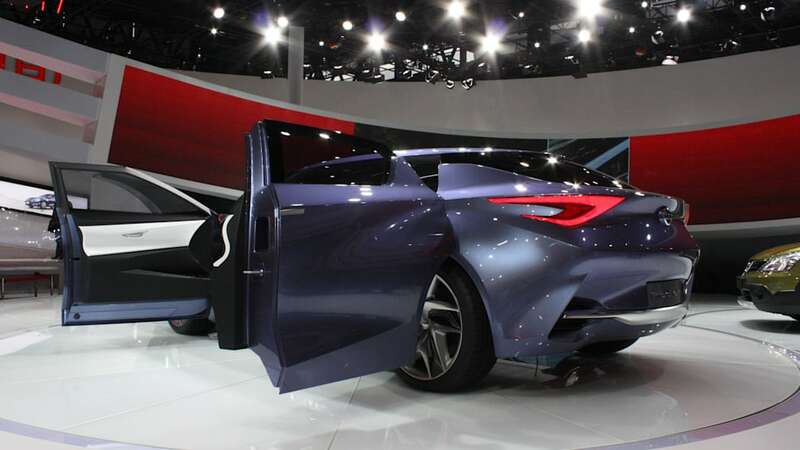 The result adds an entirely new and youthful dimension to the sedan category." 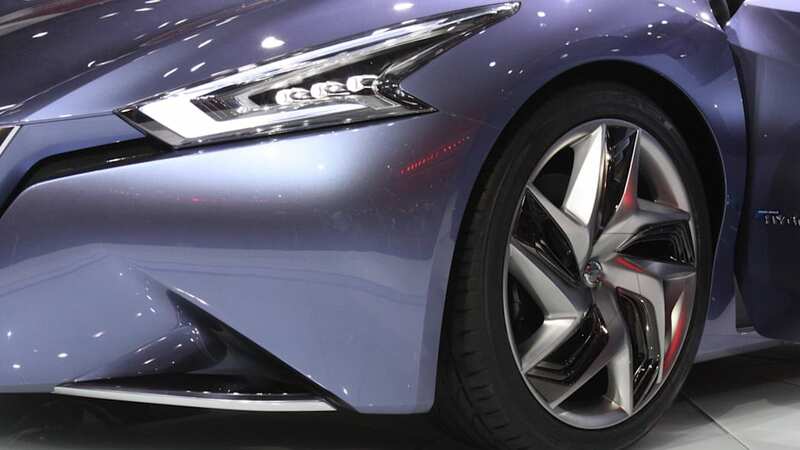 A low and wide stance with short front and rear overhang emphasizes more chunky, aggressive and sporty impression rather than authentic sedans. 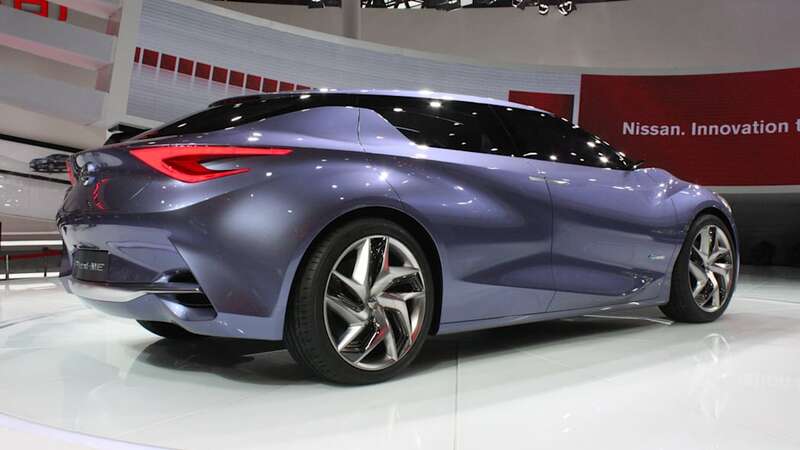 Together with this challenging proportion, distinctive design aspects are presenting one of the new directions of Nissan appearance. 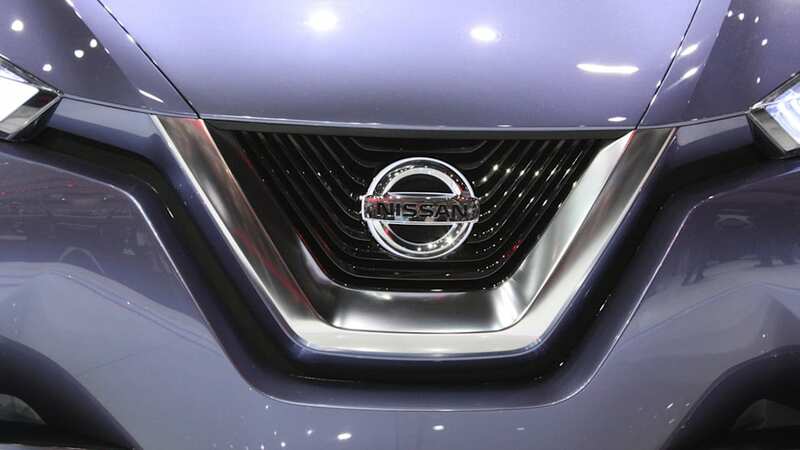 The energetic and fluid momentum which arises from 'V-motion' shaped grille streams through the hood to shoulder creates the impressive cadence with emotional aura. The headlamps and rear combination lamps are accentuated by its unique boomerang shaped lighting signature. 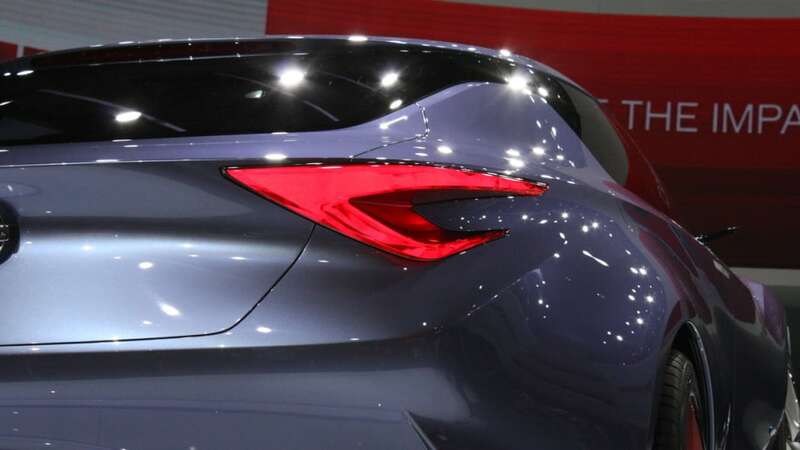 The profile of the vehicle completely describes the progressive translation of 'Distilled Da Qi'. The thin and light floating roof and kick-up shape around the C-pillar resonates well and produces sophisticated harmony. 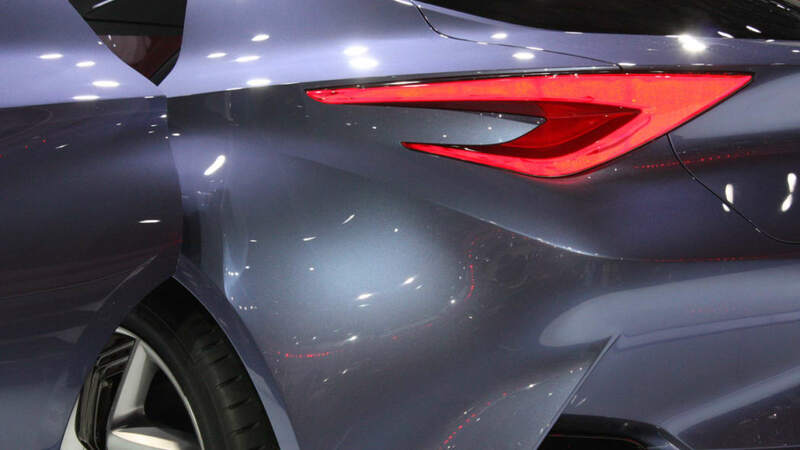 Likewise, the Neon Gray exterior color – specially developed to appeal to tech-savvy youthful tastes – show its lines to full effect at night. Inside, front and back, driver and passenger, all four seats are separate with the same high-tech style and status, because in this cabin all aboard are peers – equals. And all share the same information as the driver: speed, navigation, fuel remaining – everything. What's more, the driver isn't a 'music dictator' – everyone has the power to propose shared experiences... or go his own way. Empowering all four adventurers is a unique center console stretching from the dash to between the rear seats – an iconic monolith in an onyx-black finish. Screens visible from each seat blend seamlessly with the surface, only becoming apparent as they display whatever contents the buzz of the moment demands. Whoever finds cool content can "toss" it from his mobile to the on-board screens so all can share in the fun. "Our console is like an oracle-stone that gives the Friend-Me crew the power to look down the road ahead, over the horizon, through walls... to anywhere in the online world," said Toyota. "As they cruise through an entertainment district, the console reveals the scenes playing out in each building they pass. We've anticipated where automotive online is destined to go – and it's bound to be exciting." 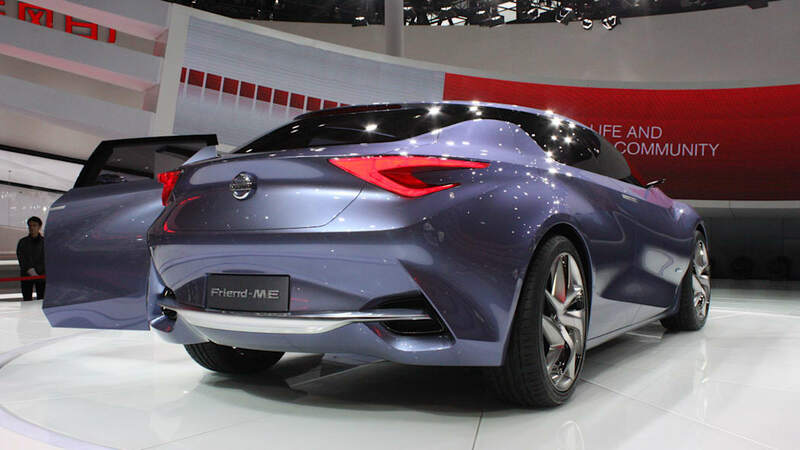 Nissan Friend-Me has been carefully designed as a dream within reach of young customers in China. 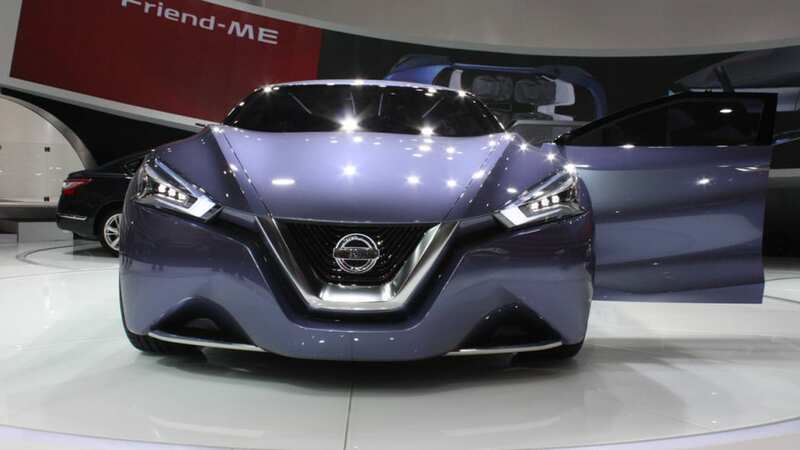 Based on an existing Nissan sedan architecture, it requires a minimum of unique components. And while the ecologically efficient PureDrive hybrid powertrain envisioned for Friend-Me would deliver more than enough zip for city driving, the engine is a modest 2.0-liter. Emphatically, the customers whose aspirations guided the design said it's not highway performance they want, it's a look that turns heads and a private-yet-connected space where just hanging out feels like an adventure. That's the dream Nissan Friend-Me delivers, thanks to the collaboration between design teams from Nissan Design China (NDC) – the Beijing studio established in 2011 – and Nissan Global Design Center (NGDC) under the leadership and direction of Shiro Nakamura, Nissan's Senior Vice President and Chief Creative Officer. One of NDC's most ambitious designs so far, Friend-Me is one of many in-depth explorations of China's customer needs and aspirations now underway. 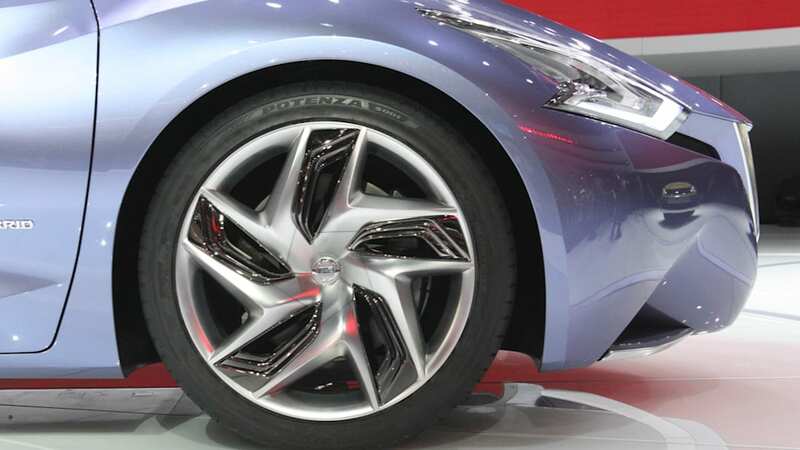 "If there's one thing we want Nissan to be known for, it's uniquely powerful insight into what excites and delights customers across China," said Bancon. "Friend-Me is just the beginning."